We have pretty much finalised the cover of Star Quake 1. With a little bit of proof work left, we will then go into production. Enjoy the work of Jeffery E Doherty (author and illustrator working with IFWG). 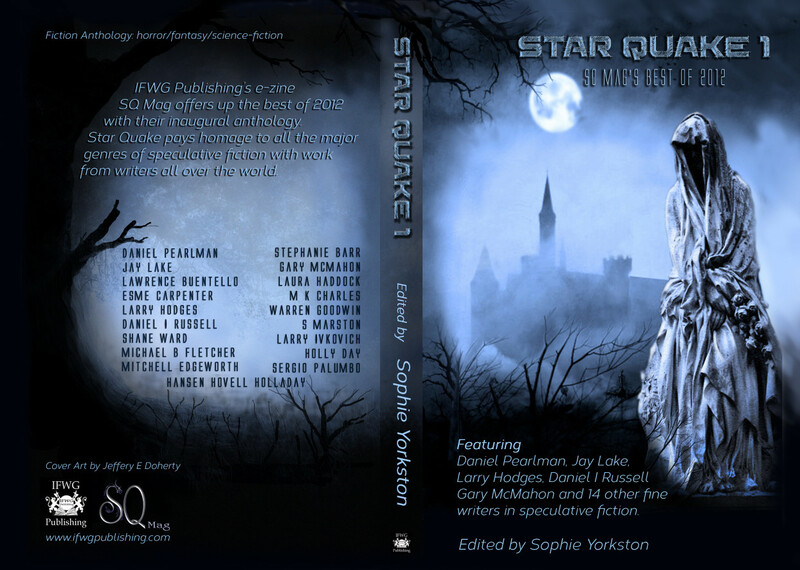 This entry was posted in News, Star Quake Anthologies and tagged anthology, cover design. Bookmark the permalink.